While many states are passing or considering online gambling legislation, other states such as New Mexico are proposing outlawing wagering via the Internet. A new compact being brokered between New Mexico lawmakers and the Navajo Nation tribe would prohibit all forms of online gambling which the tribe is currently not operating. This would include online poker. If New Mexico legislators choose to permit forms of online gambling in the Land of Enchantment, the Navajos would not have to share slot machine revenues with the state, as is now required. Such a scenario would call for “good-faith negotiations” and even the possibility of arbitration between the state and Navajo leaders to determine the impact of online gambling to the tribe’s casino revenue, the Albuquerque Journal reported. New Mexico has other tribes operating casinos in the state and any deal with the Navajos could be used as a model in agreements with those tribal gaming interests. There also remains the possibility that other states with a strong presence of tribal casinos may adopt certain forms of the New Mexico legislation as a precedent. A spokesperson for New Mexico Governor Susana Martinez said that the tribal compact being discussed is designed to discourage online gambling. However, if certain modes of Internet gaming do become enacted in the Cactus State, that revenue sharing agreements between the state and Navajo Nation will not adversely affect the tribe. 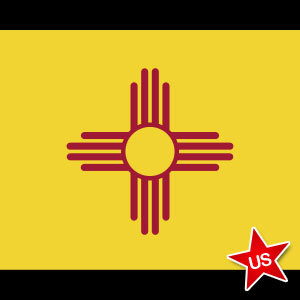 The situation in New Mexico is somewhat similar to that in Washington State, where legislation enacted in 2006 protects the state’s tribal casinos by outlawing online poker. Currently, it is a felony to play poker online in Washington. New Mexico’s tribal compact being discussed does not call for criminal sanctions against possible violators, but its aim is similar in guaranteeing protection for the Navajo tribe. The new tribal compact also precludes New Mexico from forming interstate partnerships. This would most likely prevent the Navajos from choosing to offer online poker, as player liquidity would be severely stunted in such an intrastate online poker scheme. However, the proposal does state that if online poker is one of the games that the Navajo Nation chooses to offer to New Mexico residents, the tribe would not be required to share any of its online poker revenue with the state. 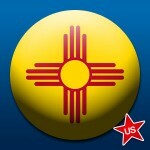 Obviously, the current negotiations are not good news for online poker players in New Mexico. I think everybody agrees that tribal casinos have a right to continue their current revenue stream. However, that revenue could be increased by enacting laws allowing the mega-billion dollar industry of online gambling instead of passing laws against it.